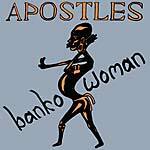 PMG present a reissue of The Apostles's self-titled album, originally released in 1976. "The Apostles were disciples of a heavy kind of psychedelic soul/rock fusion. After The Funkees left for London, they stepped into the breach to become the champions of East Nigeria's flourishing post-war music scene. Based in Aba, and led by guitarist and charismatic chancer Walton Arungwa, they laid down a couple of singles with the city's newly-formed BEN label. EMI liked what they heard and in 1976 they whisked the band to Lagos to record The Apostles with the legendary Emmanual Odenusi at the controls. A heavy mix of wailing guitar, swirling organ and James Brown-style vocals, it became a fixture in every east Nigerian home. 'Never Too Late' sets the stage with a scorching lead break that most believe was played by guitar-slinger-for-hire, Felix 'Feladay' Odey. Drummer Joel Madubuike and bass player Henry Tandu lay down the rock solid groove for Benji Davidson's righteous organ lines in 'Inflation' and 'Highway to Success.' And each is invested with an urgency from battle-hardened vocals of Chyke Fussion, a veteran of the Biafra war. Don't be fooled by the angelic white outfits worn on the cover of The Apostles. These guys were bad. And 'Never Too Late' could well be the best Afro rock song ever recorded." --Peter Moore. LP version. 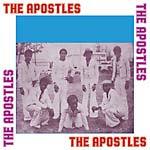 PMG present a reissue of The Apostles's self-titled album, originally released in 1976. "The Apostles were disciples of a heavy kind of psychedelic soul/rock fusion. After The Funkees left for London, they stepped into the breach to become the champions of East Nigeria's flourishing post-war music scene. Based in Aba, and led by guitarist and charismatic chancer Walton Arungwa, they laid down a couple of singles with the city's newly-formed BEN label. EMI liked what they heard and in 1976 they whisked the band to Lagos to record The Apostles with the legendary Emmanual Odenusi at the controls. A heavy mix of wailing guitar, swirling organ and James Brown-style vocals, it became a fixture in every east Nigerian home. 'Never Too Late' sets the stage with a scorching lead break that most believe was played by guitar-slinger-for-hire, Felix 'Feladay' Odey. Drummer Joel Madubuike and bass player Henry Tandu lay down the rock solid groove for Benji Davidson's righteous organ lines in 'Inflation' and 'Highway to Success.' And each is invested with an urgency from battle-hardened vocals of Chyke Fussion, a veteran of the Biafra war. Don't be fooled by the angelic white outfits worn on the cover of The Apostles. These guys were bad. And 'Never Too Late' could well be the best Afro rock song ever recorded." --Peter Moore.